I can't help with the model ripper at the moment but why does your game not work? Maybe we can find a solution; I guess your new PC is Windows 10? some virtual graphic, not sure about it, but it can keep World of Warcraft running enough to wander. I get into menu, where instead of text I have squares of colour and when selecting difficoulty, instead of loading game crushes. 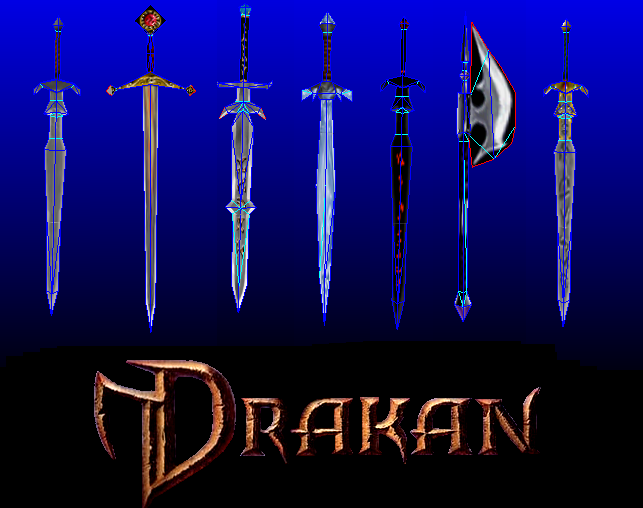 I want to make Drakan run on virtual, there I can rip. Ah OK I suspected it may be graphic card related. Drakan never worked properly with a lot of graphic cards and a virtual one almost certainly won't. It should work on Windows 10 though but if you've managed to get the editor working and do what you need that's great. Yes, I did, what I could, now I must hope in help of others. But still, it seems that there are some papercrafts to come. Seven weapons I was able to convert and fix after conversion... others were so messy, that it would take to much time to rebuild the models. Blade dragon. Many thanks to UCyborg for ripping it. ... hey guys, have you noticed, how many views this topic has? Wow. Looks like the most viewed thread on the entire forum! Also not very old. Will do version wih a branch later. Pitty that I didn't found earlier that there is a script for Blender to fix the deformation of 3Dripped screens. I have it hidden on other computer, but once I have hands on it, i'll put it here. Download + more pics here! I like the works that you made guys, I like Scanveger and Werokh model. I personally want to see Drakan Owl as well as structures such as cottages or even Temple in Ruined Village, weapons such as Runeblade or Atimar's Blade sounds very cool . I used pepakura designer for exporting obj files in past for my projects and I even printed patterns of owl . 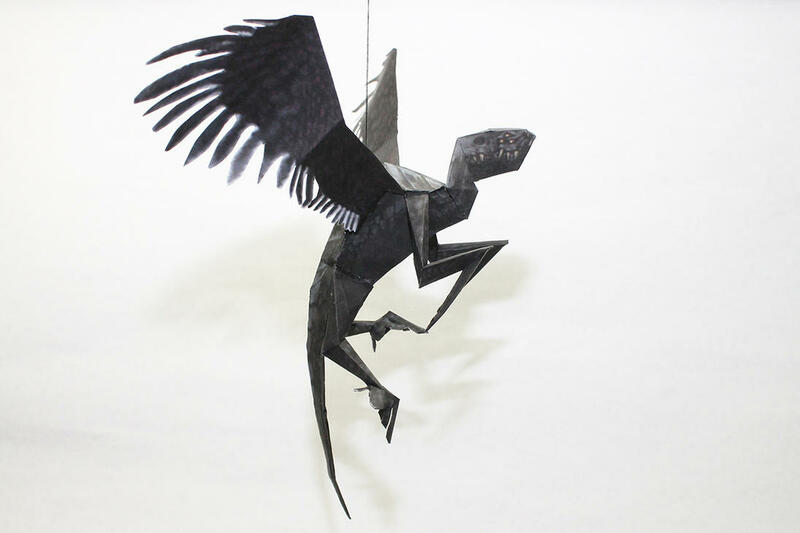 I also wonder which type of paper you use and if you could cut patterns with ordinary scissors without using more specialized tools and materials.